The daily scripture readings leading to the Feast of Pentecost from the Gospel of John present to the thoughtful reader a rich array of concepts that are aligned with emerging cosmological and spiritual insights. Deep Time and the forever unfolding future are present, as is the fundamental grasp that all things are bound together. What will become the one Earth Community is present as are the undergirding framework of Kenosis and the call to faithfully fulfill the tasks of one’s own life and time. These thoughts contain the essence of what will be explored during this Mission Institute program. They are the underpinnings supporting the work we will engage in interpreting how God’s Spirit is manifest to us now, in our time. Consonant with this, we will look at the components of an integral spiritual path, providing the tools for ongoing personal work. Finally, looking back through time, we see that through the ages our ancestors in the faith struggled to understand more fully and with greater clarity God’s holy presence within them and around them. Faithful to this standard, we too shall spend time in common exploration, mutually uplifting our spirits and deepening our grasp of the sacred. Resource Person: Ann Braudis, MM, PhD. was the editor of and contributor to the Journal of the Asian Social Institute, Shifting Paradigms edition. She was a contributor to the Igorota Magazine and to the Journal Writing on the Wall. 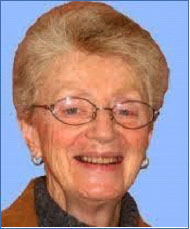 She has authored numerous articles for Maryknoll Publications, Maryknoll Magazine, NewsNotes and Awakenings. She has received various awards: The United States Ambassador’s Award for Distinguished Service, in Bolivia; the Bolivian Government Award of Honorary Citizenship in Cochabamba; The Republic of the Philippines Award for Protection of the Environment; and the International Council of Women Award for Outstanding Achievement for Sustainability and the Environment, at the United Nations. Ann is a Maryknoll Sister from Quincy, Massachusetts, holds a doctorate in Applied Cosmic Anthropology from the Asian Social Institute, Manila, Philippines and a Master’s degree in Creation Spirituality from Naropa University, Boulder, Colorado. In the Philippines, Ann served on the faculty of the Asian Social Institute and founded the Maryknoll Sisters Center for Justice, Peace and the Integrity of Creation. She also served in Bolivia, South America, doing pastoral work among the Indigenous Quechua People and with the government and medical school in the development and implementation of administrative sub-systems. She served as the main representative of the Maryknoll Sisters’ Non- Governmental-Organization (NGO) in consultative status to the Economic and Social Council at the United Nations and as co-chair of the NGO Committee on Sustainable Development. She is currently engaged in work for the environment with the Saw Mill River Coalition and Groundwork Hudson Valley. Yonkers, New York.